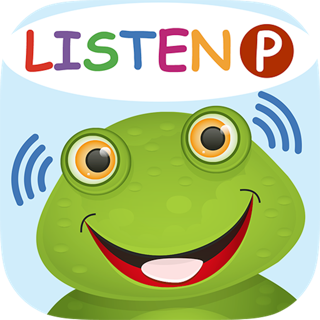 Check out this fantastic app developed by a speech-language pathologist! 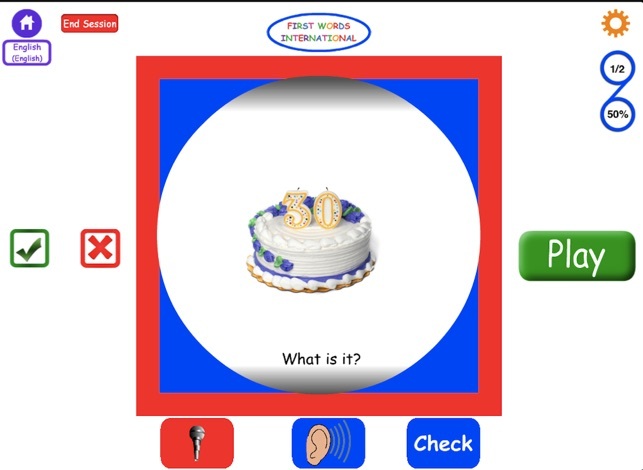 Teaches 50 basic object names in photos and colored drawings, in 7 languages: English, Spanish, French, Mandarin Chinese, Japanese, Hindi and Russian. 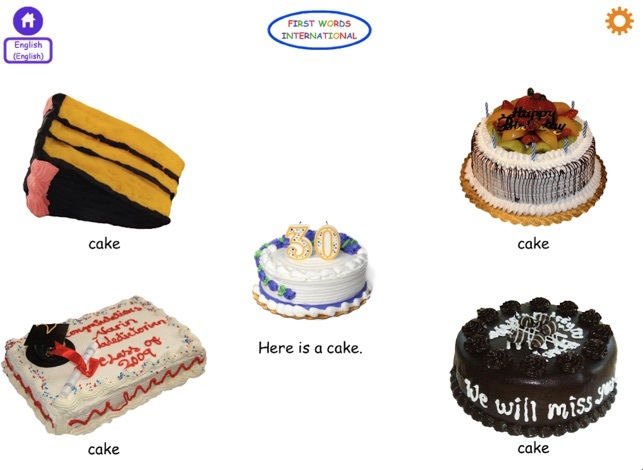 Perfect for a child of any age just learning basic English object names! Another amazing app from Hamaguchi Apps! 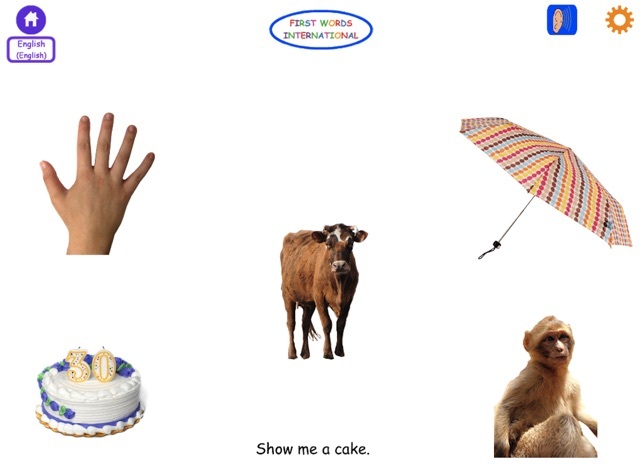 Includes 3 activities: Learn the Word, Find the Word (receptive vocabulary) and Say the Word (expressive vocabulary). Home Edition allows for one user only but is otherwise the same app as the Pro Edition. 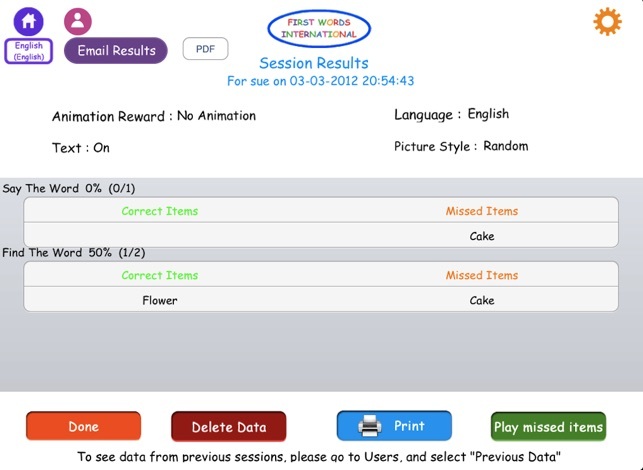 New features include 2, 3, 4 or 5 picture choices, auto adjust/advance so the program adds or takes away picture choices to make it easier or more challenging, depending upon the child's responses. Cute animation reward videos keep the child's interest. The Say the Word activity has a spinner that children love! iOS 11 optimization, added manual option so user can control when to present next activity. We have only had this app for one day. But so far it seems to cover learning words in a very good way. The graphics are great and the words ore ones that my child understands, making it much easier to learn them in both English and other languages. We have had a lot of fun using this app. Great for Special Needs Children. Thank you. 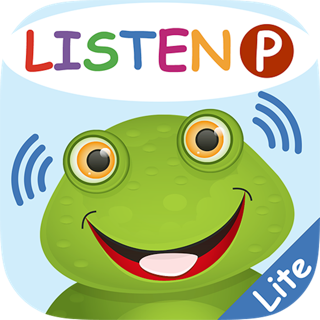 My daughter loves this app and it seems to be a good tool for improving her receptive vocabulary BUT it locks up frequently. I have to delete it and reload it at least 3-4 times per week and sometimes more than once in a day! I lose all of her data each time I reload it. :( Please fix this problem! 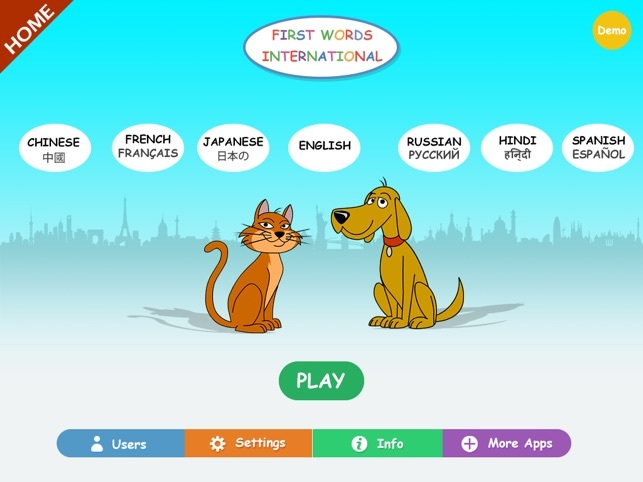 This is a great app for learning vocabulary. I love that it presents the object in various pictures and it keeps my kids engaged. Overall, very entertaining, educational and well made. While it's been almost 4 years since you posted this review, Apple is now allowing developers to respond to them. So we wanted to just say thank you for taking the time to review it and we are glad that you like the app! We've added some cool features and updated it, so hopefully you are enjoying it even more. © Copyright 2014 Hamaguchi Apps, a division of Hamaguchi & Associates Pediatric Speech-Language Pathologists, Inc. All Rights Reserved.